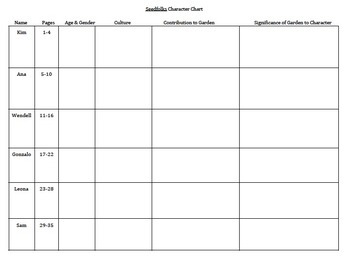 Students will use this character chart to organize information about the characters in the novel. This helps my students keep the characters straight every year. It sends them repeatedly digging through the chapters to complete it. Some answers are directly found. 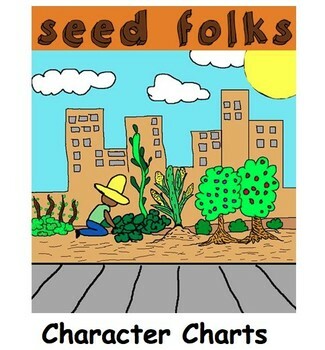 Other items (such as the characters' ages) will have them digging for clues to help them estimate or infer. 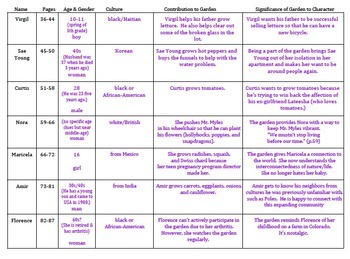 They will also understand how each of the characters contributes to the garden in a different way and how the garden is significant to them. Pages three and four are a very detailed key.